Welcome to our Shul. 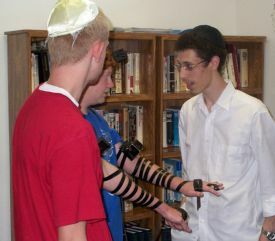 A Shul is more than just a synagogue. The word Shul is Yiddish for a Jewish place of prayer and study, a place of warmth, spiritual uplifting and camaraderie, a place in which every Jew, young and old regardless of background is made to feel at home. We at Chabad welcome everyone. Come as you are. Come when you want. Leave when you want. Come as often as you want. Bring the entire Mishpacha. Treat yourself to something special and meaningful. You’ll feel right at home. 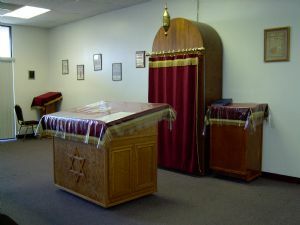 No matter where in the High Desert you live, work or study, if you are looking for a place to feel heimish and to express your Jewish soul our Shul is for you. We are a kid friendly Shul. If your kids are being kids, that’s fine with us. Children of all ages are welcome to participate. We say that G-D appreciates the children’s noise even more than the adult’s prayers. Chabad of the Antelope Valley is dedicated to helping every Jew appreciate and understand what being Jewish means by increasing their level of knowledge, commitment, and enthusiasm of our heritage. We are here to inform and educate. You do not even have to be member. And no, there are no dues. You do not have to pay to pray. Our services are traditional, welcoming, and joyous. 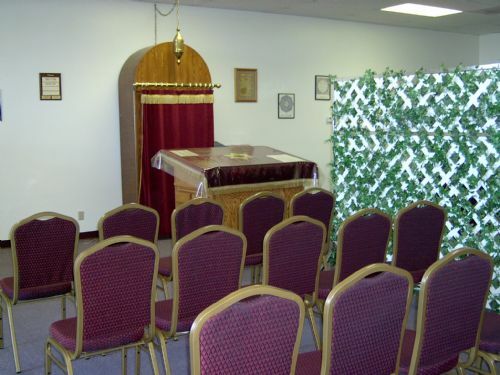 Even those with limited Jewish experience can feel at ease in our Shul. You don’t have to know how to read Hebrew. Our Hebrew/English prayer books are user friendly. Even a novice will feel at ease. A place of celebration... A place of comfort for the mourner saying Kaddish... A place to learn and sing ancient and contemporary Jewish melodies. 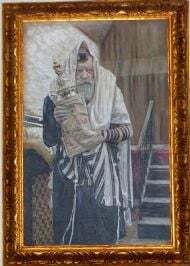 Our Shul and tradition are a link through time connecting us with the chain of Jewish history as well as our future Jewish generations. Chabad is here for you. Be here at Chabad! Rabbi K. of the Chabad of S.C. was right when he suggested I check out your Synagogue in Lancaster. You have been very kind to welcome me into the community and honor me with several readings of the Torah. I hope this small check can somehow repay my moral obligation to keep such a fine synagogue active and growing. Thank you again for all the hospitality and I hope to continue attending and enjoying services. Give my best to your family as well. Thank you so much for the pen and stationary. It was such a thoughtful gift. You both have been caring and generous to our family since we arrived last year, and we are very grateful. I really want to thank you for creating such a heimish shul. We feel like we are part of an extended family.